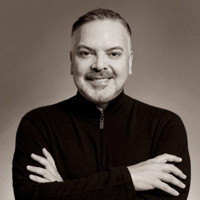 Henry R. Muñoz III is a nationally respected voice in the discourse about the imprint of Latino culture and identity upon American Society in the 21st Century. A Designer, Social Activist, Opinion Leader and Philanthropist, Muñoz works across multiple platforms that converge at the intersection of politics and the built environment. As Chairman of the Board and Chief Creative Officer of Muñoz & Company, Mr. Muñoz leads one of the largest and oldest minority-owned design practices in the country. Under the three decades of his leadership, Muñoz & Company has pioneered an approach to architecture and design that acknowledges the rapidly shifting demographics of the United States. In January 2013 Mr. Muñoz was appointed Finance Chairman of the Democratic National Committee, the first minority or openly gay citizen to hold such a position for an American political party. In this role, he leads the effort to erase a $35 million dollar debt and has raised over $75 million dollars in resources for The Democratic Party and its candidates, up and down the ballot. Mr. Muñoz’s life and career has been to illuminate a more complete American story for the benefit of all people.